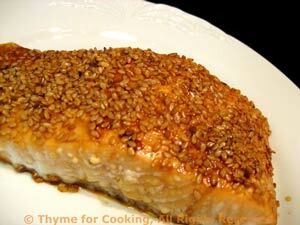 Thyme for Cooking's Main Courses: Salmon with Sesame, Chicken Savoyard. 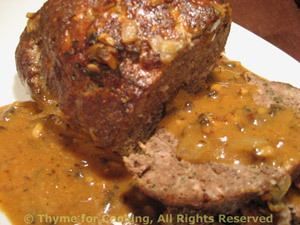 Either reheat the meat loaf in the microwave for 3 - 4 minutes or in a covered baking dish in the oven for 15 - 20 minutes. 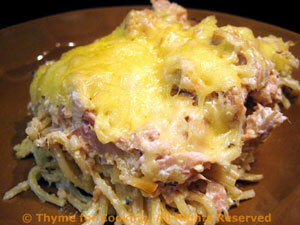 Reheat the sauce in a small saucepan on the cook top or in the microwave. Sherry adds flavor notes that go well with stews. 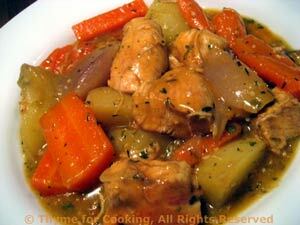 It blends well with the traditional root vegetables and enhances the flavor of the chicken. Cut chicken into 1 1/2" (4cm) pieces. Add chicken, close bag and toss well to coat thoroughly. Heat oil in medium saucepan over medium-high heat. Add chicken and brown quickly. Add shallots, carrots, celery, herbs, broth and sherry. Bring to a boil. 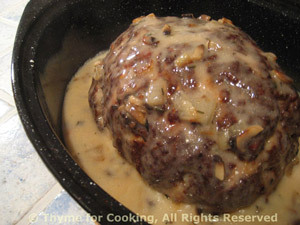 Cover, reduce heat and simmer 5 minutes. Quarter the potatoes the long way then cut in half or thirds depending on size. Simmer 30 minutes longer, just until vegetables are tender. Pierce vegetables with a fork or sharp knife to see if they are done; if not simmer another 5 - 10 minutes. 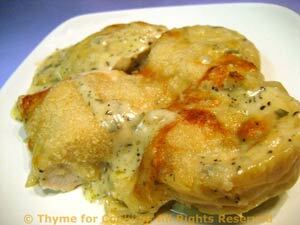 If desired, for a thicker gravy, dissolve cornstarch in chicken stock. Uncover, increase heat and remove bay leaves. Add cornstarch mixture and stir until sauce is thickened. Serve directly from pot or ladle into serving bowl.